If you’re a New York State resident who’s been injured on a construction job, you probably qualify for New York Workers’ Compensation benefits. Your employer’s insurance carrier will set up a claim to pay medical expenses and lost wages. If your injury caused a permanent condition, you might also qualify for disability payments based the Workers’ Compensation Board Schedule of Benefits. If you receive these payments, you may wonder why you would need a legal professional to represent you? NYC.gov “Construction Related Injuries and Fatalities” statistics document 70 construction related accidents this year in New York City alone. If you are one of those statistics, it could change your life. You may incur medical bills and lost wages. A permanent disability could destroy your ability to work. What if the money you receive isn’t enough to support your family? What if your employer disputes your claim? These are just a few of the possibilities that may derail your life after a construction site accident. That’s why you need a construction accident lawyer in NYC to represent you. Here are a few additional questions to consider. If your injury causes a disfiguring scar you may carry it for the rest of your life. New York Workers’ Compensation does allow compensation for serious disfigurement due to a neck, face, or head injury; but the maximum Comp Board benefit is $20,000. A construction accident lawyer in NYC understands that a horrible scar is worth more than the maximum payment allowed by the Comp Board. In an effort to help get you the money you deserve, he will examine the facts and investigate every avenue of possible recovery. What if someone else is legally liable for your injuries? In most cases worker’s compensation benefits are your only recourse for a construction site injury. But when your injuries are caused or contributed to by a subcontractor or a visitor to the site, the situation changes. Their responsibility to you is based on legal liability and is different than your employer’s commitment to you. While your employer still has to file a claim no matter what, you might have additional rights of recovery available. A New York construction attorney will investigate your case to see if you have a legal right to sue a non employer. If their actions caused or contributed to you injury, you may be entitled to money for your pain and suffering, and other damages not covered by worker’s compensation insurance. What if your injury involves an intentional tort? If your employer committed an act that was substantially certain to cause you injury, you might be able to recover additional damages. In addition to injuries due to extremely hazardous conditions, intentional torts might involve sexual harassment, discrimination, libel, slander, and other personal injuries. New York Compensation cases can be complicated! There are a lot of reasons why you should consider having a legal professional get involved in your worker’s compensation case. 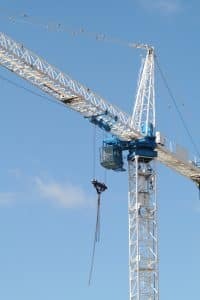 If you need a construction accident attorney in NYC to review the circumstances of your accident and offer guidance, contact us. Pulvers, Pulvers, Thompson & Friedman can help.